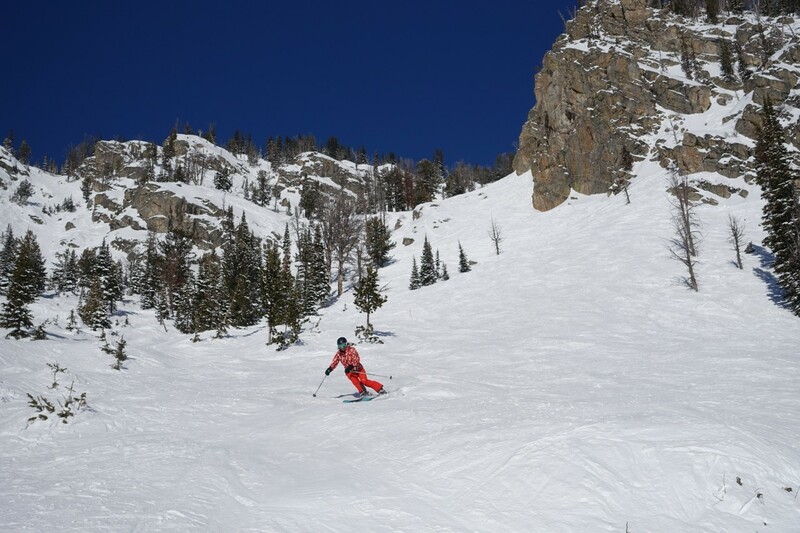 Knowing that we burn 300 calories per hour skiing helped me eat my heart out at Jackson Hole, WY with a clear conscience! Heck, it could have been as high as 400 an hour for me and my fellow skiers challenging double diamonds, sheer chutes and big bumps runs during our week with Elevate Women’s Ski Camp. For a breakfast boost, nothing beats the made-to-order Nutella waffles at Corbet’s Cabin perched at the top of the Jackson Hole Aerial Tram. Dragging myself out of my comfy king size bed at Teton Mountain Lodge for an 8:00am meet up, meant breakfast was brief. So hanging out at cozy Corbet’s woofing down waffles was a wonderful way to wait for the first runs to open. A temperature inversion at the top of Rendezvous Mountain meant that it was unusually warm up high. I must have sweated off half my body weight while tight-turning down skinny chutes. Especially with the pulse-raising pressure of having famous female freeskiers coaching me. 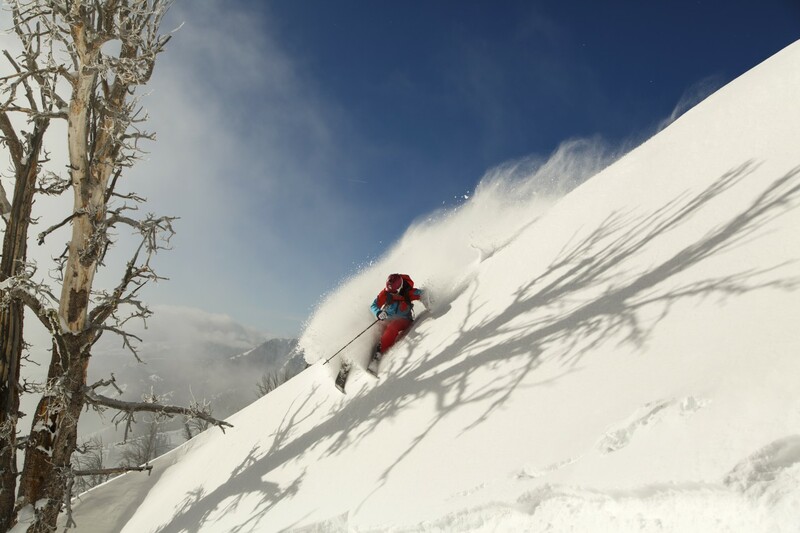 The pros, Kim Havell, Jess McMillan and Crystal Wright, were all kamikaze cast members of Pretty Faces stars, the first ever all-female extreme skiing video. 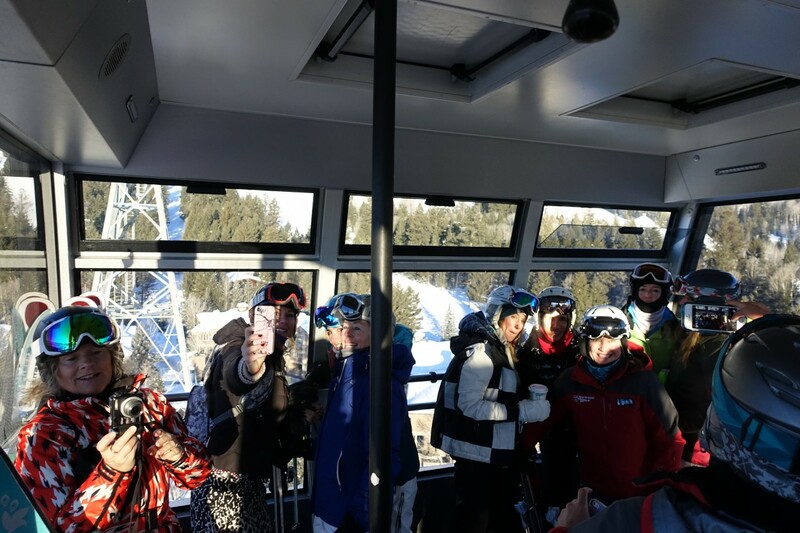 Their job was to mentally motivate the Elevate ladies into pushing their comfort zone, giving us technical tactics to help raise the bar – and not just on the Thunder Chairlift! All this exertion meant lunch was limitless. The enormous noodle bowls at Rendezvous Mountain Lodge hit the spot as did the giant jacket potatoes overflowing with chili and cheese. And who could resist the ornate cupcakes for dessert? In case we started to get complacent after skiing alongside the polished pros, Elevate Camp upped the ante one afternoon with a backcountry jaunt. Learning about avalanche safety and how to perform a rescue added a nerve-wracking, sweat-inducing element to the skiing. And strenuous side-stepping up into the wilderness beyond Jackson’s boundaries worked off most of the cafeteria calories. 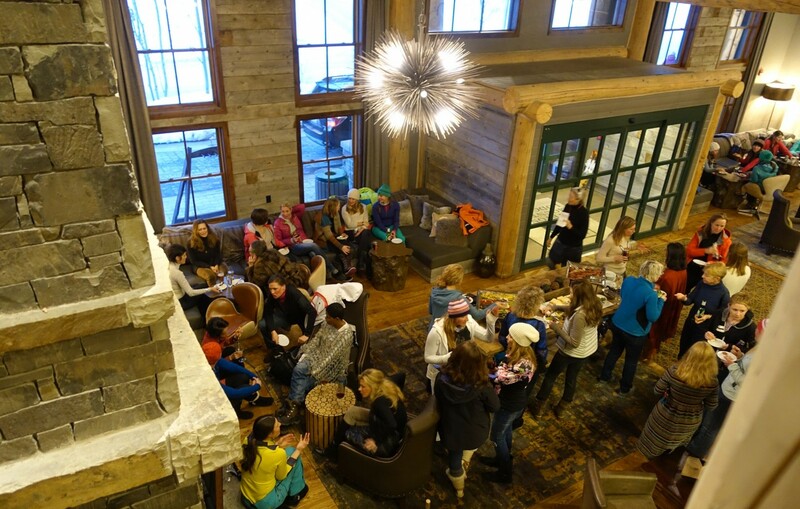 After blissful backcountry powder, I was ready to hit the après ski and what better place than K Bar at Teton Mountain Lodge, the hub of our grueling girlie camp. Here, in sophisticated surroundings, Jackson’s top Exec Chef, Kevin Humphreys, creates delicate dishes of buffalo meatballs and petite pans of cheese fondue. Perfect recovery grub, especially washed down with a flute of Francis Ford Coppola’s fizz. Next stop: the rooftop hot tub to watch dark descend over Grand Teton National Park and Jackson Hole Ski Resort. Muscles aching, I went on the lookout for massage to help me ski another eight-hour day. 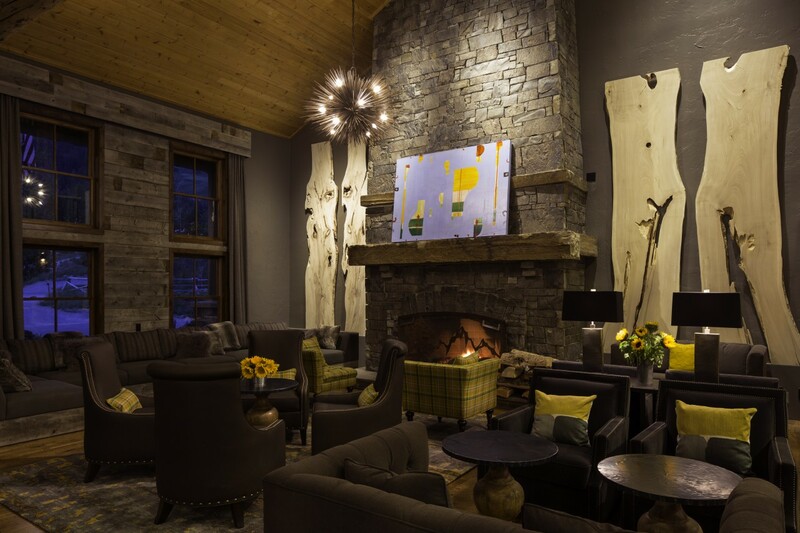 There are actually two neighbouring spas – Solitude in the Teton Mountain Lodge and Chill in sister hotel Terra. How to spoil a girl! Rocking from lunchtime to après to dinner, Spur Bar & Restaurant is sensational for supper. Serving the best Spicy Margaritas, it specializes in mountain cuisine with a seasonal spin. Try the Kurobuta Port Tenderloin fresh from the local Snake River Farm or the Nebraska Wagyu Sirloin if you want to ‘elevate’ your energy to tackle the Tetons with The Women’s Camp.